The Ethics Department, as an independent department, is charged with conducting impartial administrative hearings on behalf of Metro involving Metro contractors. 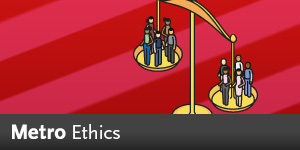 The Ethics Department conducts good faith reconsideration hearings and other assigned hearings. Different procedures apply to different types of hearings. The procedure for reconsideration hearings is available below.